Ligation with burns fingers and toes can be unpleasant, but it is important to protect the victim from the infection. Scientists have reported the development of a new ultra-thin coatings, the so-called nanofilms, which can be attached to the most complex areas of the body to protect against harmful bacteria. Presentation of the new technology that has been successfully tested on laboratory mice, was held at the 248th National Meeting and Exhibition of the American Chemical Society (ACS), writes the online edition GizMag. As explained scientists used today wound dressings are effective for a relatively flat and wide areas of skin, while the irregularities of ligation is performed worse. A team of researchers led by Dr. Yosuke Okamura has created an innovative biomaterial of tiny nano-sized particles, which are of an extremely high flexibility and adhesion. Nanofilms can be glued on both smooth and uneven surfaces of irregular shape without adding glue - Okamura said. New technology can seriously change the way you treat burn victims. According to the Centers for Disease Control and Prevention United States, every half hour someone from Americans get burns of varying severity. Burn wounds are vulnerable to infection, and a successful recovery of affected areas requires their disinfection. The technology is based biodegradable polyester PLLA. When mixed with water, the material breaks down into small particles. Tests on mice showed that the treated this liquid damaged skin covered by a continuous nanolayer, which after a while drying. Material protected laboratory rodents from bacteria Pseudomonas aeruginosa (Pseudomonas aeruginosa), the causative agent of nosocomial infections in humans. Highly resistant bacteria to antibiotics complicates the treatment. Bandage protects the wound from infection within three days. Nanoplenki layer increases during this period up to six days. After large-scale animal testing and safety tests, the researchers plan to clinical trials in humans. 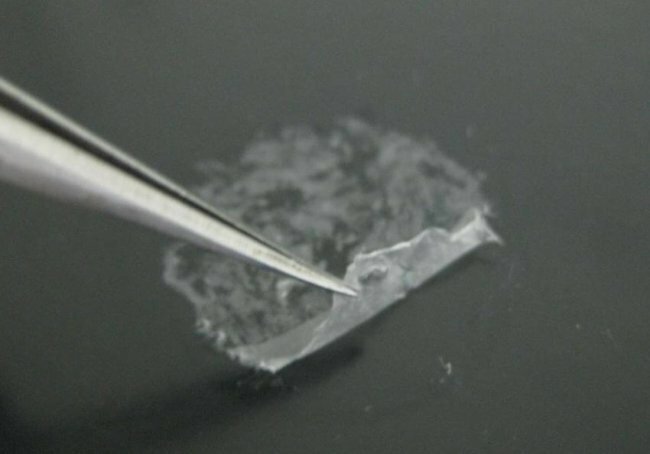 Along the way, researchers are developing a similar coating, compatible with blood. They are planned to be used for medical devices such as catheters.